It's the start of fifth grade for seven kids at Snow Hill School. There's . . . Jessica, the new girl, smart and perceptive, who's having a hard time fitting in; Alexia, a bully, your friend one second, your enemy the next; Peter, class prankster and troublemaker; Luke, the brain; Danielle, who never stands up for herself; shy Anna, whose home situation makes her an outcast; and Jeffrey, who hates school. Only Mr. Terupt, their new and energetic teacher, seems to know how to deal with them all. He makes the classroom a fun place, even if he doesn't let them get away with much . . . until the snowy winter day when an accident changes everything - and everyone. 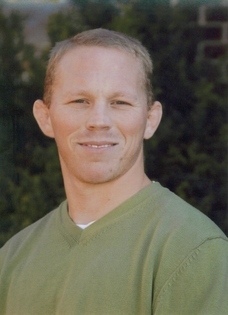 ROB BUYEA taught third and fourth graders in Bethany, Connecticut, for six years before moving to Massachusetts, where he taught high school biology and coached wrestling for seven years at Northfield Mount Hermon. He now lives in North Andover, Massachusetts, with his wife and three daughters and is working as a full-time writer. Because of Mr. Terupt, his first novel, was selected as an E. B. White Read-Aloud Honor Book and a CYBILS finalist and has won seven state awards and been named to numerous state award lists. Mr. Terupt Falls Again and Saving Mr. Terupt are companion novels to Because of Mr. Terupt. The books continue to reach classrooms near and far and have given Rob the opportunity to visit with students all over the country - something he loves to do. Rob spends his summers at Cape Cod enjoying family adventures, entertaining friends, and writing. Rob's newest novel The Perfect Score, is scheduled to be released on October 3rd, 2017.